As a result of this meeting we requested further sessions with Dr Virginia Pearson, the Chief Officer for Communities, Public Health, Environment and Prosperity (this took place in February 2017 – see below), and a session on integration between Children’s and Adult Services, and Health (this will take place after the County Council elections in May). We were given an update on staff changes – we find it useful to know who’s who because we often liaise with people in the organisation! We heard about the new ‘asset based approach’ which focusses on individual and community strengths and resilience, and we were given an open invitation to go along to any Communities team meeting. Community development and engagement in relation to people on the ‘edge of care’. How needs are assessed (looking at the range of tools/assessments and how diversity considerations are taken into account alongside physical/mental care). We welcomed new members on the ERG representing the older person’s strand – Age UK Devon. 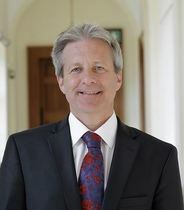 We were joined by John Smith (Head of Organisational Development) to hear about his new area which incorporates Human Resources, Policy and Strategic Development, and Organisational Change. We were also joined by Sara Cretney and given a detailed description of the Purposeful Systems work that is being carried out. This is a way of looking at people’s experiences ‘in the system’, ensuring that the Council focuses on real need and the right outcomes to enable a person to live well independently. We learnt about the difference between ‘lagging measures’ and ‘leading measures’ and how properly defining performance measures is critical to ensuring the Council has the right focus – what matters to citizens. The ‘system’ is large, involving many organisations. Remember that we all need to know who’s who, and what organisations and services can and can’t do, otherwise people can end up ‘going round in circles’ when signposted. There are many organisations in the voluntary sector, and those supporting minority and disadvantaged groups may not have a local presence (i.e. they operate on a Devon-wide basis). Bear this in mind when having conversations about communities in local areas. Have conversations with a wide range of organisations, including those representing ‘communities of interest’ such as LGBT+ or Black and Minority Ethnic people, and not just a select few. Structural changes can enable, or be a barrier to, achieving equality and diversity – please do discuss major changes with the ERG. Include an assessment of community resilience in the Impact Assessment process. Set up the Children/Adults/Health integration meeting after the elections. Organise a ‘training day’ for all ERG members so that we can hear about each other’s organisations and issues for the protected characteristics we represent. Arrange the in-depth Promoting Independence sessions. Members of the ERG and other voluntary sector organisations helped the County Council reach diverse groups of people to carry out a community survey in the autumn/winter 2015. The complete set of results were published by the summer 2016 and an Executive Summary, which details the Council’s response to the issues raised, is now available. Large print versions are available on the website. An Easy Read version of the Executive Summary is being developed. All the PDF documents should work with screen-readers. Exeter Pride is took place on Saturday May 13th and the County Council’s Corporate Equality Officer hosted its first ever Talking Zone in Exeter Library. This included three panel debates including one specifically with and for young people led by XPlore LGBTQ Youth Group. As usual, it also raised its Rainbow Flag at its HQ in Exeter to mark Pride, on Wednesday 10th May. 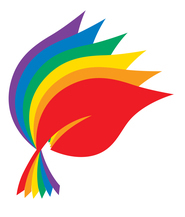 The County Council has been working hard to improve services for LGBT+ people and has published an LGBT+ Toolkit for all service providers, developed by the Corporate Equality Officer and the Intercom Trust (the LGBT+ representative on the Equality Reference Group). 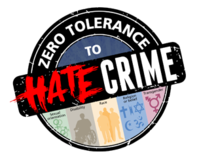 Have you pledged Zero Tolerance 2 Hate?